Inside our site you will find various information about our Association as well as the local area. Our pages on meeting dates, announcements and upcoming events will keep you up to date on important activities in our neighborhood. 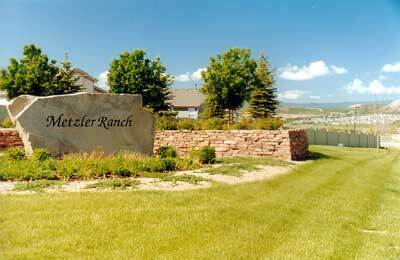 You will also be able to download the covenants and restrictions for Metzler Ranch, the current and past minutes for all Metzler Ranch Home Owners. We are interested in making our website more useful to members of the community. If you have any suggestions regarding our website and its content, please send them to the Property Manager, Professional Community Management Services for consideration. Be sure to include your contact information. This was posted originally as voluntary, but as of this morning it is now mandatory starting immediately. There will be NO watering tonight or Saturday, and water will be restricted to Sunday, Wednesday, and Friday nights only between the hours of 10pm and 5am until further notice. Please plan on watering next on Sunday, July 9th and not before. If irrigation is taking place outside of those days and times, then the irrigation system will temporarily be shut off. Systems that are shutoff can resume watering on the 3 day/week schedule described above. Our residential customers have followed this schedule for years. The sun is shining and temperatures are soaring! Summer is in full swing. While barbecues and get-togethers are a priority, conservation should also be top of mind. We need your help! Now that Castle Rock is transitioning to a renewable water supply, it’s even more important to adjust outdoor watering in response to weather conditions. The hot, dry weather in June and early July, and the lack of rain, has resulted in East Plum Creek dropping to very low levels. This means we have less renewable water supply than normal. In fact, we have seen record-high water use numbers these past few days. Since East Plum Creek is one of our key renewable water supplies, we are asking for your help to cut back. Please only water public spaces Sunday, Wednesday and Friday. Public spaces include neighborhood parks, common areas, medians and other right of way spaces. This three day per week watering schedule is similar to what residents already are required to follow for single family homes. Being mindful of conservation will help keep our water supply reliable and protect our supplies in East Plum Creek. Looking for more tips? Check out CRconserve.com.